Kitchen and Bath Design is a specialty at Chief Architect. We focus on providing the best software tools for professional kitchen and bath designers: automatic floor plan and wall elevation dimensions, an extensive manufacturer catalog (cabinets, appliances, fixtures, doors, windows, materials), best‑in‑class 3D rendering, ease‑of‑use that makes design intuitive with an extensive how‑to video training system. 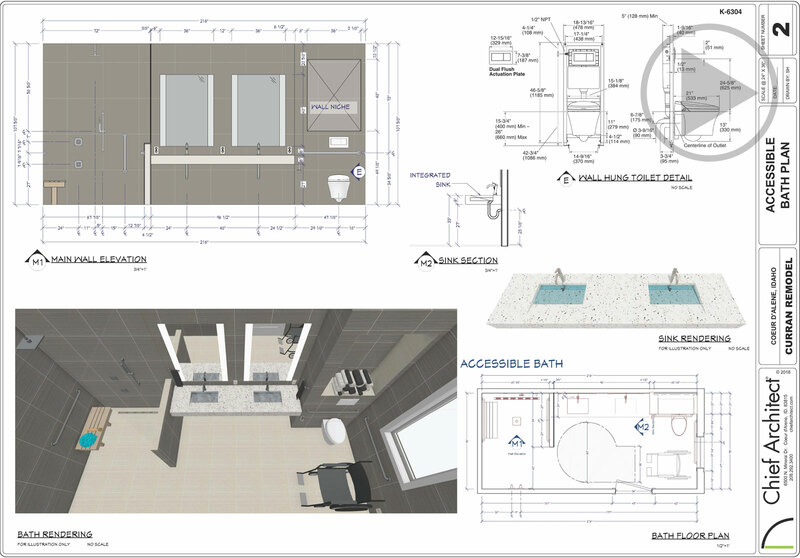 If your project extends beyond the kitchen or bath, no problem, Chief Architect is the top‑rated software for full residential home design. Smart cabinet tools make it easy to create any style from bath vanities to kitchen islands. You can easily resize, shape, and group cabinets as they bump, merge and form automatic countertops. Place and arrange your cabinets in 2D, 3D, or elevation views. Change countertops, door & drawer styles, wood species, stain, or paint colors using a Material Painter for cabinet options. Created a favorite cabinet configuration or island? Save that cabinet grouping to the library for future use. You can even save an entire kitchen or bath cabinet grouping with accessories to your Library! The key to any kitchen and bath project is having a variety of appliances and fixtures. 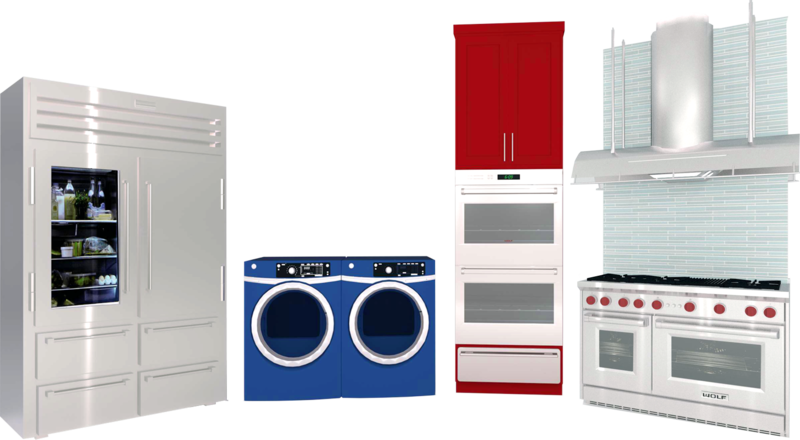 You can download a number of name‑brand or custom appliances and fixtures free from Chief Architect's 3D Library. And, if you need more, easily import 3D objects and symbols from manufactures or 3D websites. Resize any appliance and fixture for custom projects. 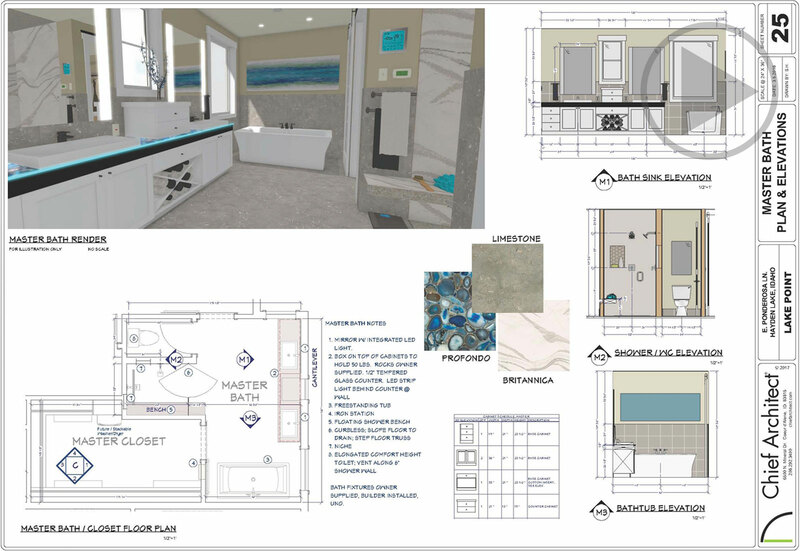 3D renderings and virtual tours of kitchens and baths often sell the project to your client. Yet, floor plan and dimension details are required to build the project. 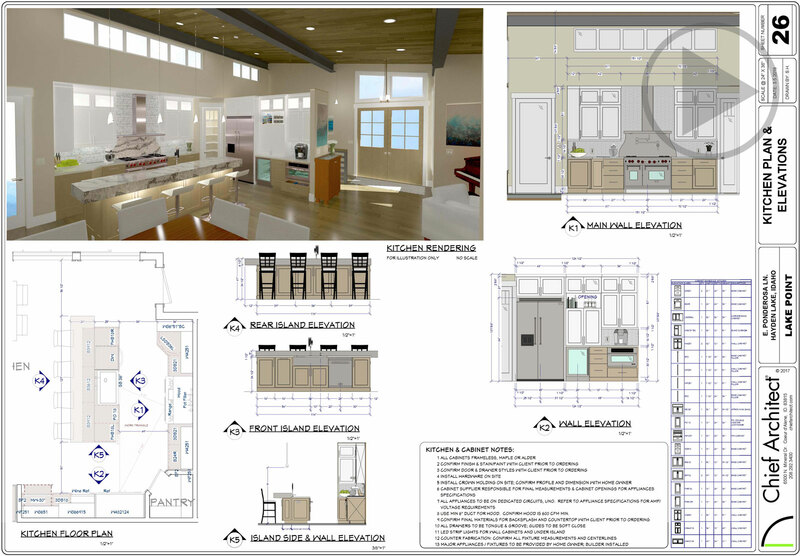 Automatic floor plan and wall elevation dimensions per National Kitchen and Bath Association standards make it easy to create the detail needed for building permits and subcontractors. See more plan set examples in our Sample Plans and Projects.